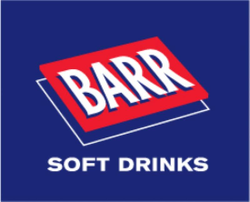 Barr Soft Drinks was started in 1875 when former Chairman Robin Barr's great grandfather Robert Barr established a soft drinks business at the company's first factory at Burnfoot Lane in Falkirk. A second Barr soft drinks business was established in Glasgow in 1887 by Robert Barr's son, Robert Fulton Barr. His business was taken over by his brother Andrew Greig Barr (from whom the company gets its name) five years later in 1892, when Robert decided to move to Ireland. In 1901 both Barr soft drinks businesses, Robert Barr Falkirk and A.G.Barr and Co Glasgow, jointly launched their original recipe IRON BREW. The phonetic spelling IRN-BRU was introduced in 1947 following concern over proposed changes to food labelling regulations. As well as IRN-BRU our range of popular soft drinks brands includes Tizer, D'N'B, KA, Barr flavour range, Barr's Originals, Red Kola, Strathmore Spring Water, St Clements juice drinks, Simply juice drinks, Sun Exotic and Rubicon exotic juice drinks. We are also the franchise partner of Schweppes International Limited in the UK, where we manufacture and sell Orangina under license and have a partnership with Rockstar Inc. in the USA to sell and distribute their Rockstar energy drink brand in the UK and Ireland.